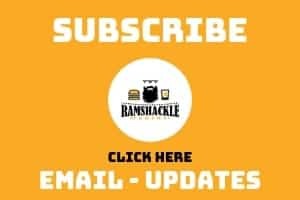 June 28, 2017 (Last Updated: March 3, 2019) - As an Amazon Associate I earn from qualifying purchases. In this series, we are diving deep into enchiladas. Not only do we share recipes and information, but we are also interested in culture and history of our food item. Today, we are going to take some time to look at the history of enchiladas. This is a particularly interesting history for two reasons. First, the origins of enchilada go back a very long time. People have been wrapping ingredients in corn tortillas probably ever since corn tortillas became a thing. Second, there are few food items that are so universally known and part of the daily lives of many. The enchilada has such a rich and long history that has become a staple in many households today. It really is one of the most unique dishes. There are four unique topics that need to be looked at in the history of enchiladas. First, there is the corn tortilla. The corn tortilla is really what separates burritos from enchiladas and wrapping ingredients in a corn tortilla is essential to enchiladas. Second, we will look at peppers. The word enchilada has its origins in the word ‘enchilar’ elements-great-recipe-for-enchiladas , which literally means ‘to season with chilis.’ Third, I think I must talk about the filling of an enchilada. Finally, the big bang moment for enchiladas. When did peppers and corn tortillas get wrapped together in a dish that represents what we know today as an enchilada? The use of corn as a food product goes as far back as 7000 years to 9000 years ago . The dated evidence of this originates in central Mexico. Were they processing the corn into corn flour? According to the NY Times article, there is evidence of milling at the site that is almost 9000 years old, so perhaps they could have been. It is interesting to note that wheat was not agriculturally raised in North or South America until Europeans came to the New World, so there was no such thing as wheat bread in the new world. Prior to that time, corn was a staple of the diet in what is today’s Americas. Similarly, Europe did not know about corn. When the European world began to conquer the Americas, corn was introduced to Europe. Corn tortillas have basically been around forever… or maybe not quite as long as bread has existed. Chili seeds have been dated ‘as parts of cultural deposits’ in Mexico as far back as 9000 year ago. There seems to be an interesting connection in time and place with the history of corn tortillas and peppers. Were they cooked together as far back as the history of man eating these items? I am not sure, but I can’t imagine that the combination of these awesome food items could be that far apart. 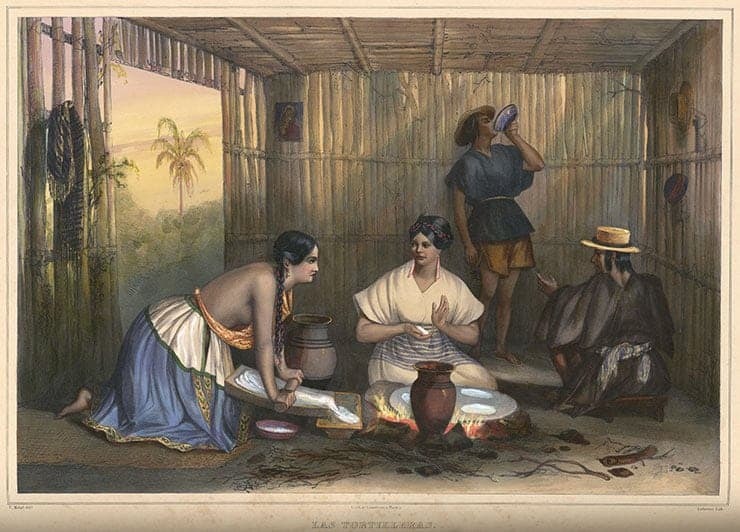 The Europeans reached the new world in the 16th century and documented what the Mayans and Aztec societies ate. Along with corn tortillas, peppers were widely noted as a staple of these people and presumably already traditional meals. The simple truth is that peppers and corn tortillas were a part of everyday life in ancient life of that region. Bernal Díaz del Castillo was a Spanish conquistador and wrote about feasts put on by Hernán Cortés in the 1500s, where fish were served and wrapped in corn tortillas. Now, this is a definite documentation of wrapping a filling in a corn tortilla. It could cut dangerously close to being considered a taco, but it could have also been an enchilada. I would mark the difference between a taco and enchilada, two fold. First, an enchilada is baked with the tortilla and ingredients. A taco, on the other hand, would have all ingredients cooked separately and then combined. 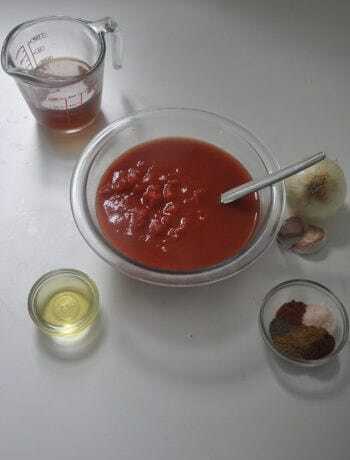 Second, an enchilada requires chilis or an chili sauce (enchilada sauce). Tacos do not. While, the conquistador’s tale may be directly tied to the history of the taco, I think this does document the idea of filling for an enchilada. It can be attributed to the Western discovery of something that might be an enchilada. My guess is, however, that the baked enchilada dish goes back much further than this. I don’t think this can be adequately answered. We know that both corn and chili peppers have a history that dates as far back as 9000 years ago. We know that by the time the Spanish were eating with the natives, they were consuming meat wrapped in tortillas, and that chilis were a staple of the diet. This puts the creation of the enchilada at the very minimum of the 1500s, but likely goes back thousands of years prior to that. The first written documentation that explicitly discusses enchiladas happens to also be the first cookbook published in Mexico, El cocinero mexicano (“The Mexican Chef”). This was produced in 1831. The real origin and big bang of the enchilada may be lost to a time when writing was barely a thing, but I think we have taken a good look at the history of enchiladas. We can make some pretty good guesses on just how far back this thing goes. I love this! 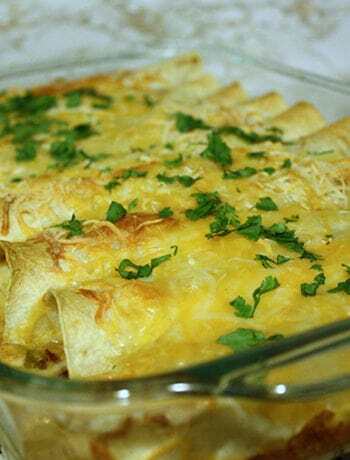 I love intertwining food history with recipes, especially classic dishes like enchiladas. I think I’m getting hungry now…. I was most proud of the Manhattan Cocktail post, as I was able to maybe add a little bit to the history.